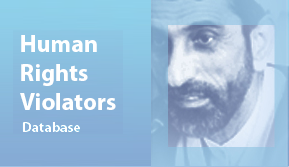 London, 25 November 2016: Justice for Iran (JFI) welcomes the press release which was issued yesterday by five UN human rights mechanisms on the concerning situation of Iranian human rights defender, Raheleh Rahemipour. A group of United Nations human rights experts; the Working Group on enforced or involuntary disappearances, the Special Rapporteur on the promotion and protection of the right to freedom of opinion and expression, the Special Rapporteur on the situation of human rights defenders, Special Rapporteur on the rights to freedom of peaceful assembly and of association, and the UN Special Rapporteur on the situation of human rights in the Islamic Republic of Iran has said, “the Islamic Republic must end the harassment of a woman trying to learn the fate of her brother and his newborn daughter, who disappeared from prison more than 30 years ago”. 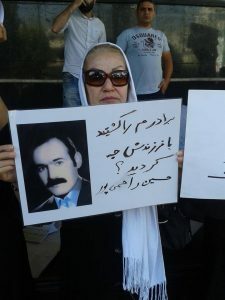 The UN’s Working Group on enforced or involuntary disappearances communicated with the Iranian government in August 2016 about the relatives of Ms. Rahemipour. Since then, a systematic campaign of harassment and intimidation against her has been launched by the authorities in Iran. She is to appear before a Revolutionary Court on December 13th, after being charged with ‘propaganda against the stated’, and ‘participation in unlawful assemblies’. “We urge the Iranian Government to immediately drop all charges against Ms. Rahemipour and to halt any acts of retaliation against relatives, witnesses, and human rights defenders who report cases of enforced disappearances,” the UN experts stated. According to the UN press release, Ms. Rahemipour’s brother was last seen in Evin prison in 1984, a year after he and his pregnant wife were arrested over their political beliefs. Their baby daughter was born in prison, but was taken away when she was only a few days old. The couple was told their baby girl had died.